Take a close look at the details of the above cartoon. It is one of the Fancy Portrait series from the long established satirical journal Punch and it appeared in response to the opening night of Wilde’s play Lady Windermere’s Fan at the St. James’s Theatre on February 19, 1892. It was an event worth memorializing, not least for the occasion of Oscar’s famous curtain call, two aspects of which have become the stuff of legend. 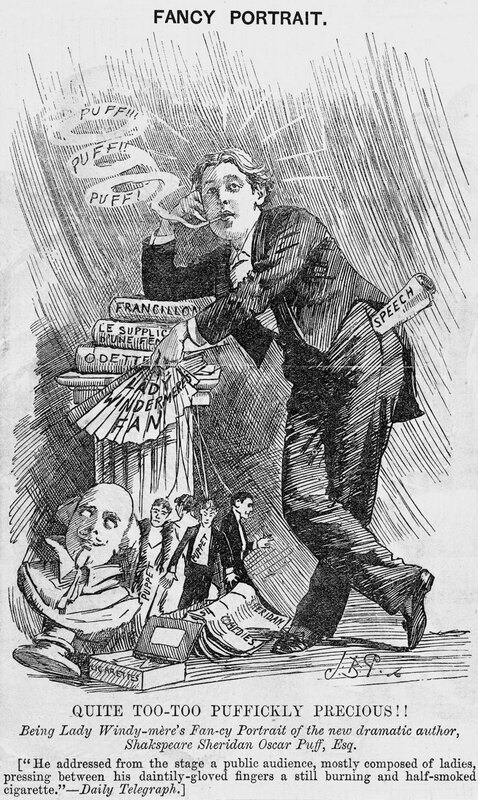 First, that Wilde took to the stage still smoking a cigarette—which some thought disrespectful. Second, that he gave an amusing speech of playful immodesty—which others thought condescending. Or, at least they did in those stuffy Victorian days. One irate newspaper correspondent referring to Wilde’s “vulgar impertinence”. These were, of course, the Victorians who could neither grasp irony nor face the change in attitudes that Wilde anticipated. Whichever view one took, everyone agreed on one thing: that Wilde was different. And being different is a sure way in any era of achieving the second worst thing the world: i.e. being talked about. So the story of Wilde’s curtain call was seized upon by the press at the time and has been well-documented by authors over the years. But it all begins with this cartoon. In it Wilde’s curtain call is immediately recognizable: the smoking, the speech, and Lady Windermere’s fan. 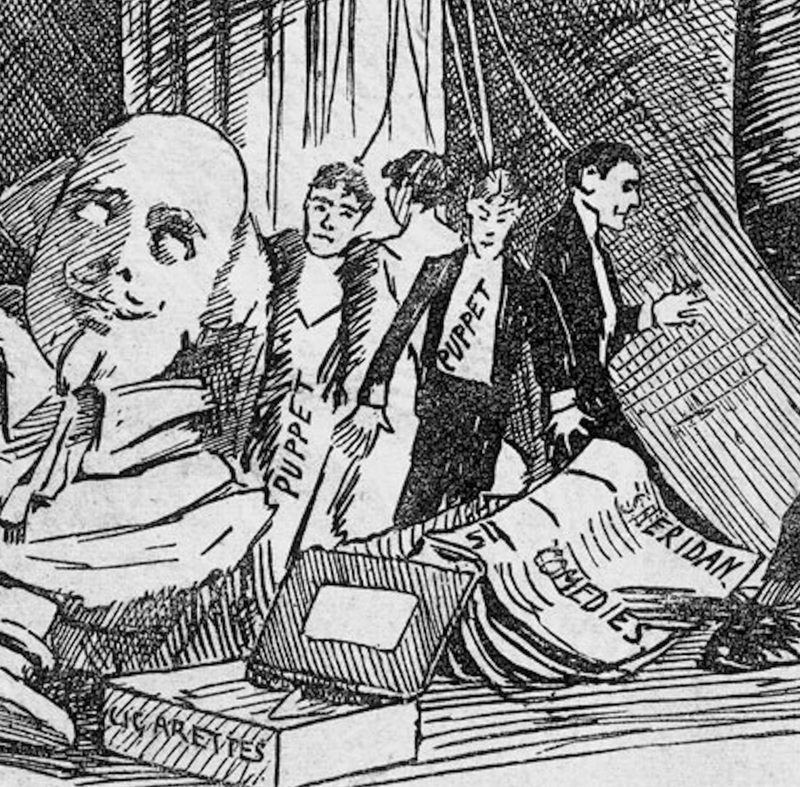 So as we have had journalism and biography, let us now revisit the circumstances through the prism of caricature.